Showing results for tags 'podagorsk'. So as far as we know there is an ongoing situation with various mods over steam workshop and some of them got taken down for good, podagorsk was one of them, been working on a mission for that map and sadly since there is no map there is no party. Does anyone happen to know anything further than that, map doesn't seem to be located (uploaded) elsewhere other than there. 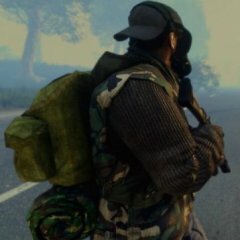 Anyone familiar with the guy that had uploaded the mod there, or is there a way we could contact him? It's really sad because some good content got lost recently which i'm not sure if had to deal with copyright issues. Background: April 2003. Political tensions seasoned with the occasional armed incidents has been mounting up in the Podagorsk peninsula in south-eastern Moldova for the last two years. The consensus in the region is that the US government and the West-European media have greatly exaggerated the aggressions and violence in the peninsula and that the Moldovian government is justified and able to handle its conflicts on its own. Nevertheless four months ago NATO decided the intervene and send peacekeepers to solve the conflict despite the protests of the European Union and the Russian Federation. It has been speculated that the reason for stabilizing the situation in Podagorsk are the peninsula's abundant reserves of nickel and bauxite. The NATO occupation was estimated to be quick even though the Russian Federation did not allow NATO presence in the Black Sea for the exception of one aircraft carrier. Four months after the advance began from the north of the peninsula, NATO front lines have not been able to make real progress towards the southern parts of Podagorsk where the minerals are mined. Almost the entirety of the peninsula's population has been united under an ancient slavic religious movement, Ð¡Ð²ÑÑ‚Ð°Ñ Ñ€ÑƒÑ‡Ð½Ð°Ñ Ð³Ñ€Ð°Ð½Ð°Ñ‚Ð° ÐÐ½Ñ‚Ð¸Ð¾Ñ…Ð¸Ð¹ÑÐºÐ°Ñ (Ð¡Ð Ð“Ð, pronounce 'SRGA') and the movement is fiercely defending the southern parts of Podagorsk. NATO high command believes that the Russian Federation is providing the locals with military grade weapons, vehicles and training since a great deal of the Black Sea region is controlled by the Russian Federation. NATO combat research estimates that the Ð¡Ð Ð“Ð combatants number up to 800 and more are joining the cause from as far as northern Europe. The Ð¡Ð Ð“Ð forces have been able to defend the peninsula against everything the NATO forces have thrown at them. As the eyes the the whole Europe and Russia are upon the situation and the peacekeeping forces must also keep the Moldovian government from interfering, the NATO high command has hired a small but apparently effective Belarussian private military company to expedite the occupation. The PMC will be placed directly under NATO forces' local high command, Lt.Col. William K. Gobbler and given command over the NATO's battalion sized force in the peninsula. The PMC's relationship with NATO will be denied in order to maintain relations with the Russian Federation and media. The Lt.Col. has heard that the PMC in question is not afraid to get their hands dirty if there's money involved. And there is. Mission content: Operation MMCCXXII Nihil: Ambush enemy QRF and help NATO forces break through the enemy lines. Operation Strangulatus: Hunt down routed enemy forces. Operation Clasis Echium: Assist NATO forces in taking out enemy MBTs on the western flank. Operation Carboneum Atrum: Scout enemy positions for NATO spearhead and support the attack. Operation Anticus Obscurus: Find and destroy guerilla camps. Operation Pars Mortalis: Assassinate a Ð¡Ð Ð“Ð high priest. Operation Relicta Greges: Find a crashed NATO plane and rescue the crew from behind enemy lines. Operation Imber Sempiternus: Seize and hold a service depot near the enemy front line. Operation Tempestas Particularm: Lead an armored assault through enemy lines. Operation Refragatio Terminalis: Ambush a Ð¡Ð Ð“Ð reinforcement convoy. Operation In Eremo: Prevent the enemy spec-ops from destroying NATO mobile artillery. Operation Chirurgia Arcanus: Assist the NATO spec-ops in eliminating the second Ð¡Ð Ð“Ð high priest. Operation Ultio Obtingens: Help the NATO forces hold the front line against Ð¡Ð Ð“Ð offensive. Operation Inter Lupos: Exfiltrate a NATO captain from Berezniki while the town is being overrun. Operation Divisi Cademus: Reach the exfiltration point and leave for friendly lines. Operation Tenebra Albae: Prevent the enemy ground-assault planes from taking off. Operation Excitandi Infernos: Coordinate a combined operation to capture enemy airfield. Operation Rati In Cuna: Kill the broadcast signal flooding the NATO channels. Operation In Auro Fidimus: Rescue two NATO POWs from a bauxite refinery. Operation Lucis Tyrannis: Prevent enemy forces from regrouping and seize the power plant. Operation Mare Sonat: Eliminate the Ð¡Ð Ð“Ð military strategist and destroy mobile artillery. Operation Aquae Virides: Clear the north-eastern flank for the NATO advance. Operation Dies Tum Umbra: Extract intel from Zirnitra prior to seizing the town. Operation Adversi Reges: Eliminate the last Ð¡Ð Ð“Ð high priest. Required addons: CBA A3 ASDG Joint Rails RHS: Escalation Community Upgrade Project - Weapons Pack All in Arma Terrain Pack Podagorsk Subscribe in Steam Workshop or download version 2.46 from Dropbox. Screenshots: http://cloud-4.steampowered.com/ugc/52120234317561513/721B2B448D47D6413F7307A7326B84267C47E0BB/ http://cloud-4.steampowered.com/ugc/49867075548295601/A32EE393D8A4A7186B09BD2F64E52C6357403ABC/ http://cloud-4.steampowered.com/ugc/49867998533319943/37D291176A0EADD5D300C78C8DF29839816E76CD/ http://cloud-4.steampowered.com/ugc/52120868284231452/19642602081B24078B1D1CA7E727D132A3CEA5B4/ and more on Steam. FDF Podagorsk v1.1 released 26.5.2010 Finally here is the update for the Podagorsk. DOWNLOAD from Kegetys DOWNLOAD from armed-assault.de DOWNLOAD from arma2base.de DOWNLOAD from www.armaholic.com DOWNLOAD from www.armedassault.info DOWNLOAD from www.eprison.de ---------------------------------------- DOWNLOAD FDF key file for server admins ---------------------------------------- Checksum for the FDF_Podagorsk_v11.rar = DFD8848F2857DAD2B133BB5C92AFEE29 And thatÂ´s all folks, this is propably my last terrain related project. It sure has been interesting seven years. - 2003 Eastborder (Winter & Summer) - 2004 Maldevic (Autumn) - 2004 Al Maldajah (Desert) - 2005 Maldevic (Winter) - 2005 RukajÃ¤rvi (Winter & Summer) - 2008 Podaga - 2009 Podagorsk Thanks to everybody that helped in these years. Mainly FDF core team and Kyllikki. And last but not least thanks to everyone that downloaded these terrains, played on them, made missions and reported bugs, without you all these years would have been wasted. ps. Mirrors are highly appreciated.